You can save significant amount of energy on water heating by maintaining temperature of your water heater to 125°F. You can also consider covering the water tank with specially insulated material in order to preserve the heat. Always prefer devices which have received energy efficiency stars from authorized agencies. Most of the consumer products come with energy saving stars which can save up to 50% of electricity in your home. Remember to turn off all your appliances, lights and electronic devices when they are not in use. You can take help of power strips to turn off multiple devices in single attempt. During summer, close all blinds properly in order to prevent the hot sunrays to come inside. You can consider opening them during winter season to allow warm rays to come inside. Make sure your home furnace is properly lubricated and clean. If the furnace is not working at its peak efficiency then it will consume high amount of energy and also cost you high in maintenance. 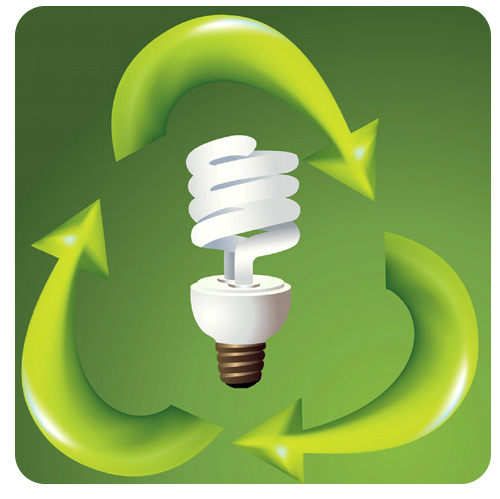 Switch to energy efficient light bulbs such as LEDs or CFLs as they can save you more than 70% of energy as compared to standard bulbs. While doing your laundry, switch to cold water. By switching to cold mode on your washing machine, you can save significant amount of energy and money. Apart from the things discussed above, there are many other tactics which you can follow. These techniques mainly include wall or floor insulation, replacement of heating system or installing solar power water heater. Though many of these will cost you high but once you get them done, your entire savings will be impressive.